How to create a brand that will speak to your audience and how to define and reach your target market. This workshop is perfect for business owners who want to put the right message in front of the right audience to build their customer base and convert more sales. $10 to attend, and registration is required: click here. The workshop will be conducted by The Helen Gordon Davis Women’s Business Centre. Wednesday, April 12, 2017, 5:00 P.M. - 6:30 P.M., Need help obtaining 8(a) Certification? 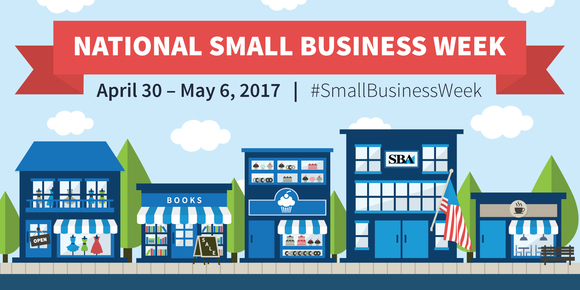 Learn how SBA's 8(a) Business Development Program helps small, disadvantaged businesses compete in the marketplace. This class focuses on the benefits of this program. It also covers the eligibility requirements necessary to participate in the program which helps thousands of aspiring entrepreneurs to gain a foothold in government contracting. The event is free, and registration is required: click here. The workshop will be conducted by The Helen Gordon Davis Women’s Business Centre. Thinking of starting a business? Don't know where to start with a business plan? This webinar will cover the basics of preparing a business plan and will discuss where to go for assistance. The event is free, and registration is required: click here. The workshop will be conducted by Vince LoPresti of the U.S. Small Business Administration. Calling all nurses! Are you passionate about helping others but mentally and physically drained from the industry? Is it your time to concentrate on you? Join us for this webinar as we discover the 10 steps that lead to Nurse Entrepreneurship on your terms while building your legacy. The event is free, and registration is required: click here. The workshop will be conducted by The Helen Gordon Davis Women’s Business Centre. Do you dream about starting a business? You are not alone - millions of Americans share that dream. And yet, not everyone has the courage to get started. But if you are reading this you have already taken the first steps towards turning your dream into a reality. This interactive three-hour seminar will deal with the key information you need to be considering as you move forward. The event is free, however, registration is required: click here. The workshop will be conducted by the Broward SCORE Chapter. Creating invoices, writing checks and managing customers, QuickBooks makes it all easier. This introductory class takes you through the basics of the software program. This course gets you started on making your company’s bookkeeping simpler. The event is free, however, registration is required: click here. The workshop will be conducted by the FSBDC at Hillsborough County. Are you looking for a spring break camp program that will help your teen discover and develop their talents? A program that takes them on a two-day journey that has the potential to transform their talents into profitable careers and businesses? The Women’s Business Center Program at weVENTURE - Florida Tech has partnered with Codecraft Works to bring a rewarding program to our area that teaches our students how to monetize their talents. $120 to attend. Registration is registration: click here. This workshop will be conducted by weVENTURE Melbourne. You know why your business rocks. Does anyone else? Take this class to uncover the characteristics that make up your business’ DNA. Soon, you’ll be able to boost consumer loyalty and company profits. After answering the two most important questions in all of marketing, you’ll be ready to skillfully implement customer-winning strategies and face the competition. The event is free, however, registration is required: click here. The workshop will be conducted by the FSBDC at Hillsborough County. You Want to START Your Own Business! Anyone can “just” start a business . . . the objective is to plan and implement based on what it will take for you to start and grow a successful business. Receive a $25 gift certificate upon completing the workshop series and registering your business through the TED Center. Space is limited, and registration is required. To register, call 561-243-2038 or visit www.FLWBC.org – Events Tab. This workshop will be conducted by the Florida Women's Business Center. Do you and your staff need to brush up on your sales skills? This class helps you learn to grow your revenue, increase your average sale, and “close the sale”. During the workshop, Lonnie Koyama of the U.S. Small Business Administration will discuss ways to help an irate customer, how to create a better experience for your customers, and much more. The event is free to attend, and registration is required: click here. The workshop will be conducted by Treasure Coast SCORE Chapter. Siga los pasos correctos para una receta exitosa al abrir y/o manejar su restaurante o camión de comida. The event is free, and registration is required: click here. The workshop will be conducted by the FSBDC at Hillsborough County.